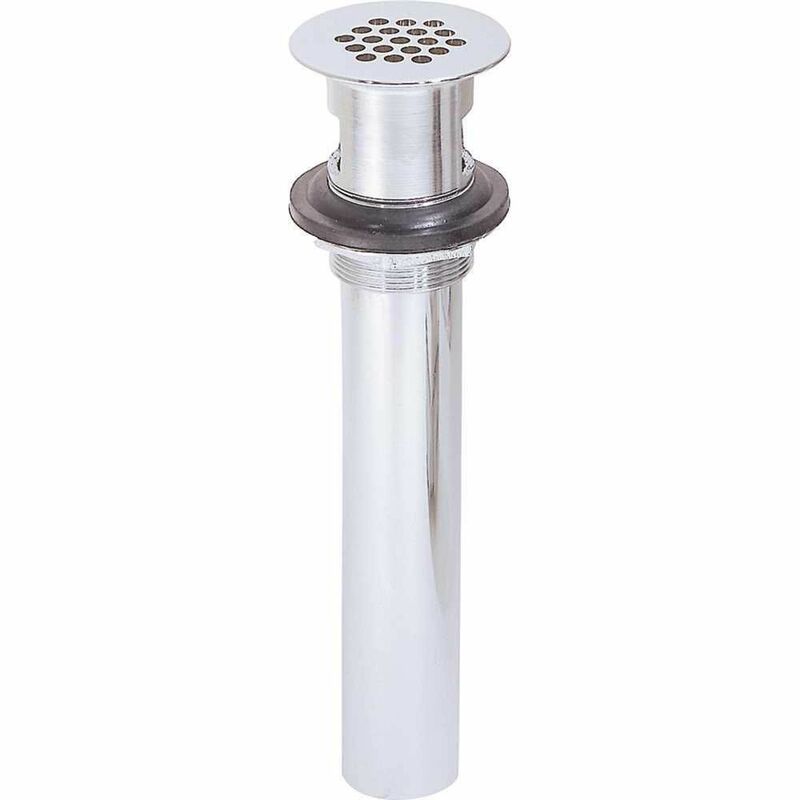 This two-piece perforated grid drain is made from cast brass. It features a chrome plating for extra protection after installation. American Imaginations 3H8- inch CUPC Approved Brass Faucet Set In Chrome colour - Drain Incl. It features a square shape. This bathroom faucet set is designed to be installed as a above counter bathroom faucet set. It is constructed with brass. This bathroom faucet set comes with a brass finish in Chrome colour. This modern bathroom faucet set product is CUPC certified. It is designed for a 3h8-in faucet. The Clearflo adjustable trip lever pop-up drain gives you flexibility with above- or through-the-floor installation options. You can depend on solid-brass construction for durability and reliability, and KOHLER finishes resist corrosion and tarnishing, exceeding industry durability standards over two times. Two-Piece Perforated Grid Drain, 17 Gauge, 1-1/4x6 inch This two-piece perforated grid drain is made from cast brass. It features a chrome plating for extra protection after installation.